This year is what I call the Year of the Leftovers. 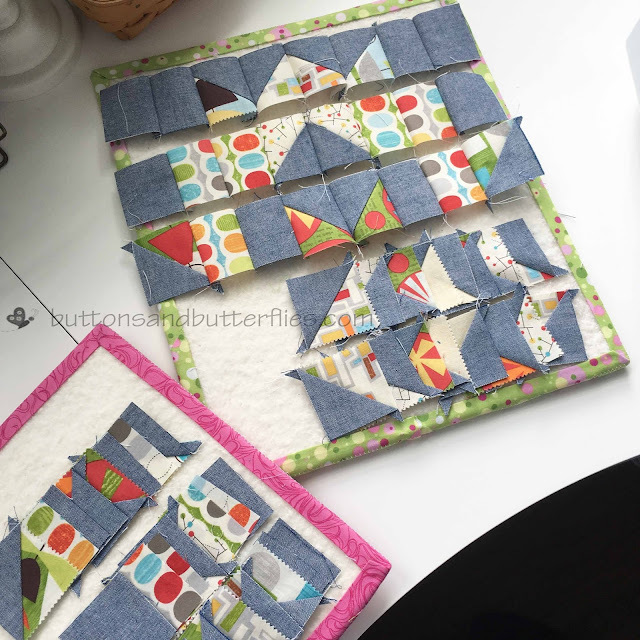 After finishing Peanut's Quilt, I still had some charm squares left because the pattern doesn't use the entire pack. My first instinct was to just cut them into 2.5" squares for my hexie stash, but then I recalled that there was a "mini" version of the original Moda Love Pattern. And then sticking with my "use all my stash" comimttment, I found this Essex Linen in blue to use with it. I still haven't mastered working with linens and small blocks, but hey, its a process and I used up the fabric that was just going to collect dust! I decided I would just make another fun pillow cover. Either for my studio or Button's room. 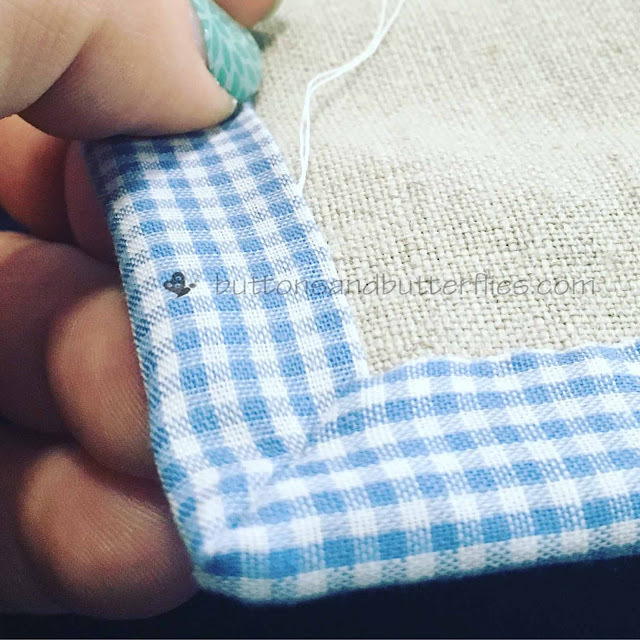 With that in mind, I used an off white linen scrap I had and made a blue gingham binding. I did my hidden zipper back and quilted the front with straight line quilting in the four quadrants. Lessons learned? No linen backing. 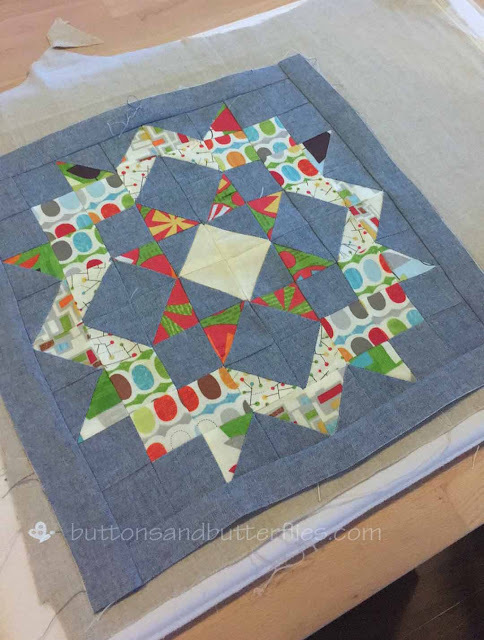 And stick to matchstick quilting to hide all my small piecing sins. 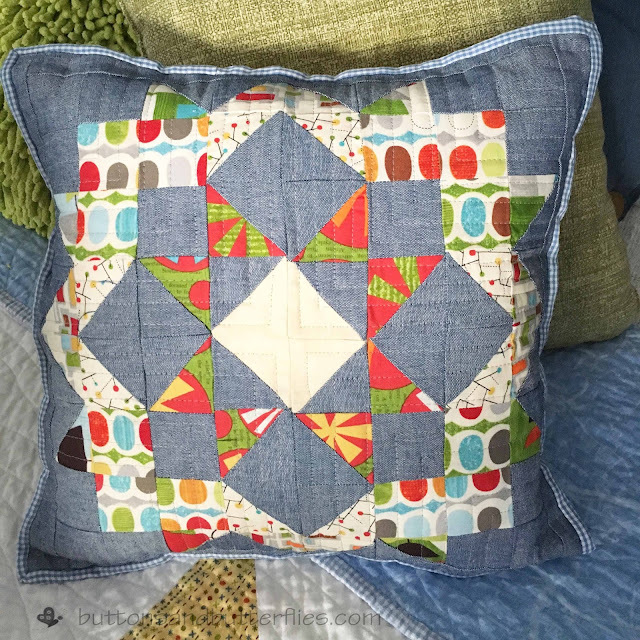 Button declined it for his bedroom, even though it matches his quilt and pillows, and it is now in my studio. Sometimes its good to have your lesson learned quilted works out and and about!